'Peeche Dekho' video of a Pathani baby boy is a must watch to wash away your Monday blues. 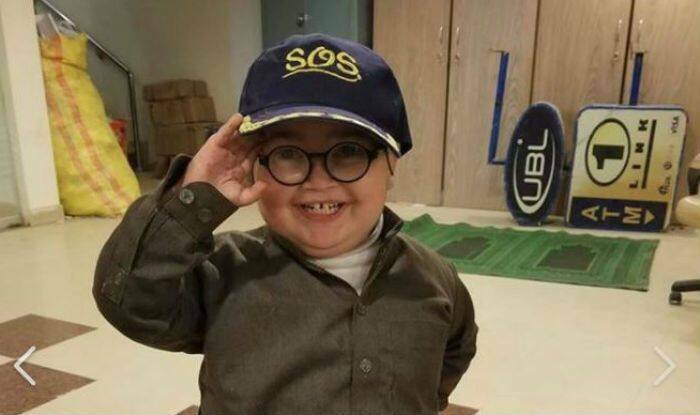 A video of a Pathani boy Ahmed Shah is going viral for all the right reasons. The way he speaks innocently and cutely in the video takes our stress away. Ahmed Shah’s conversation in Pathani accent is breaking the internet and he is fondly called ‘Piche Dekho’ boy or ‘Pathan Ka Bacha’. In the video, he seems to be in a conversation with his relative. The main highlight of the video is his cute smile when he gets distracted by a hen amid the conversation. The whole video is overloaded with cuteness and a treat to the eyes. It looks like Taimur Ali Khan has a new competition on social media. Many people have been comparing his cuteness with Taimur’s. Watch tell the end ! !